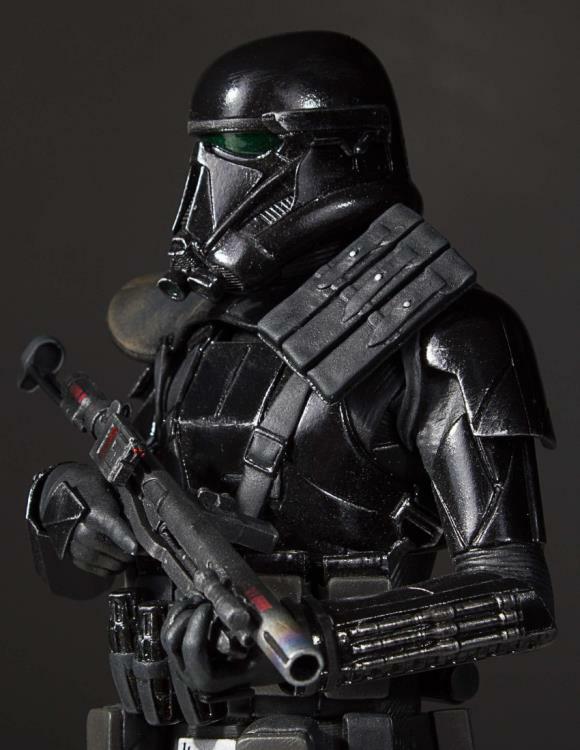 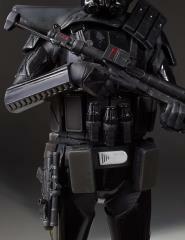 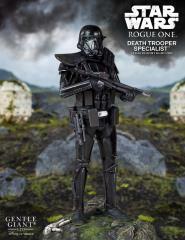 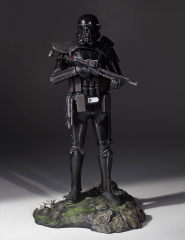 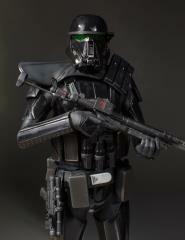 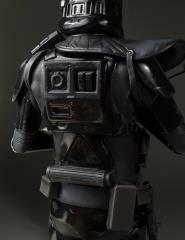 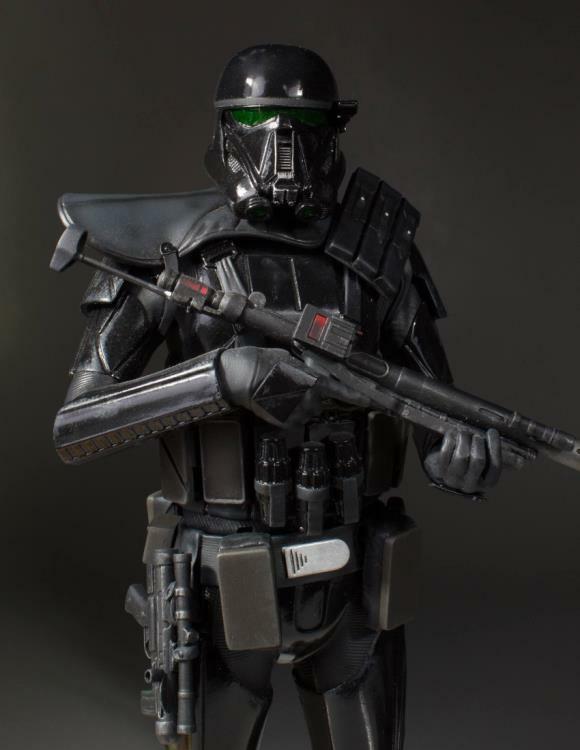 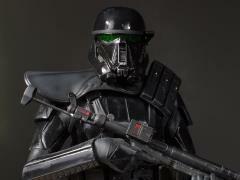 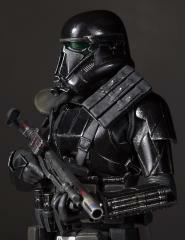 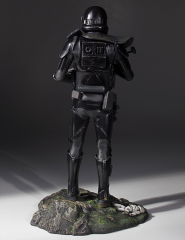 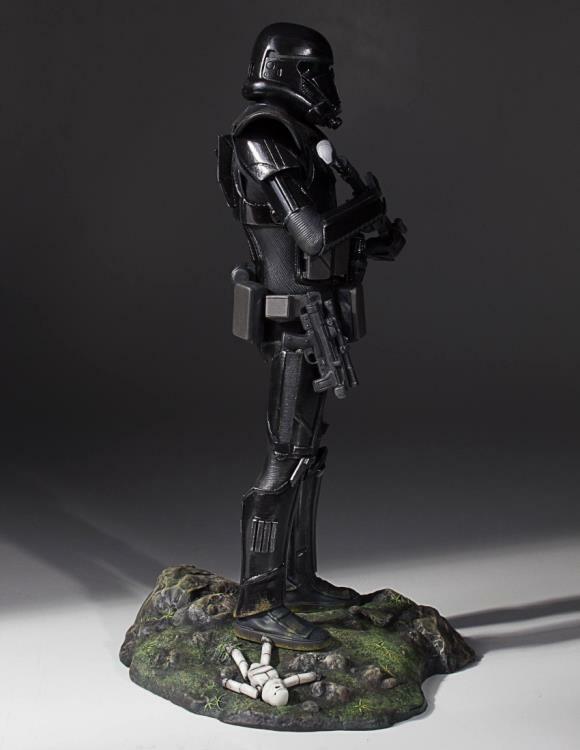 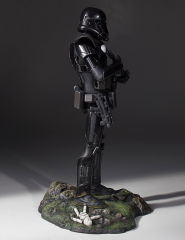 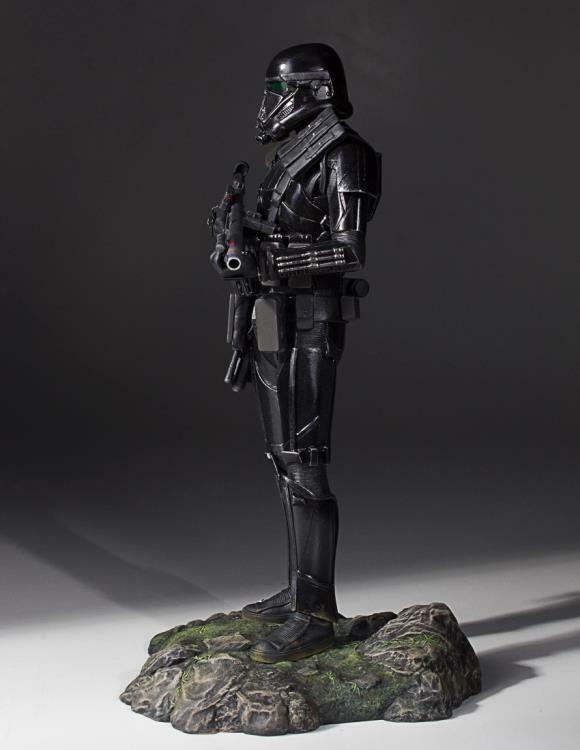 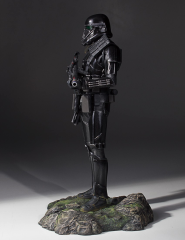 The Gentle Giant Death Trooper Specialist Collector’s Gallery Statue features the new enigmatic soldier standing with blaster at the ready, carrying an arsenal of weaponry. 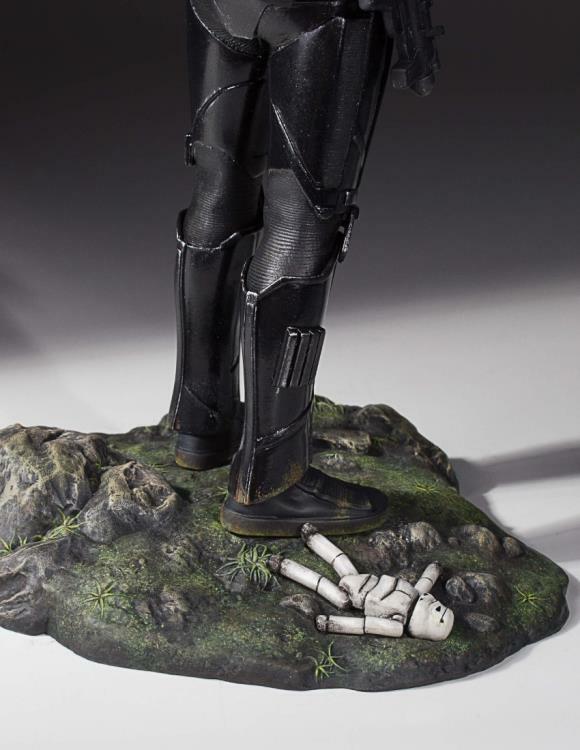 The base features a rock and grass environment, with a child’s Stormtrooper toy lying on the ground. 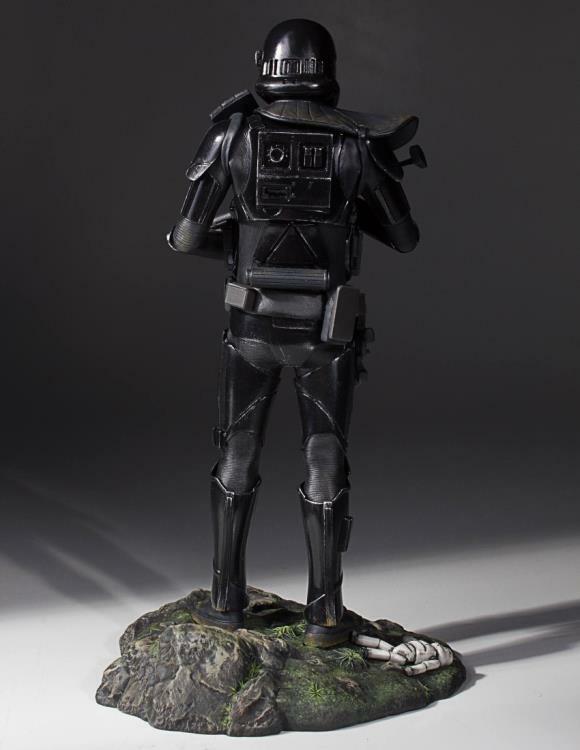 Each limited edition hand-painted polyresin classic statue comes individually numbered and is paired with a matching certificate of authenticity.